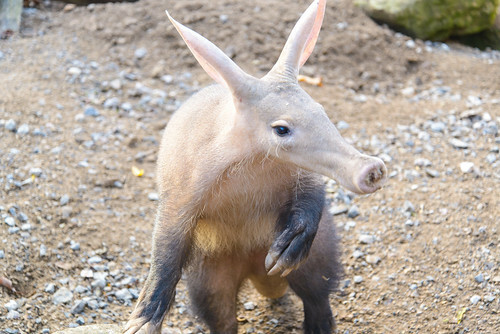 Aardvarks are the only animal from the order Tubulidentata. Their closest living relative is probably the elephant. Armadillos come in a wide variety of colors (pinkish, gray, yellowish, black, dark-brown) and range in size from 6 inches to 5 feet in length. 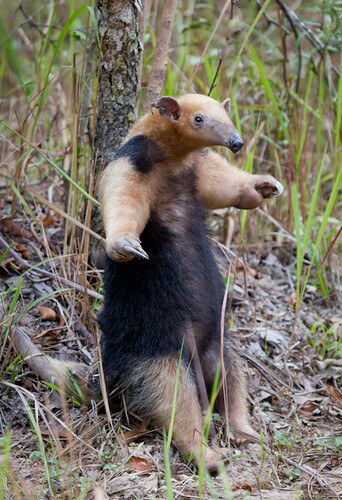 Males and female anteaters are so similar in appearance that you can only tell them apart when they are with their young. The young often ride around on mom's back. Tamandua mouths are very small, about as wide as a pencil eraser. Hippos are the 3rd largest land mammals. Elephants and white rhinos are bigger. Red River Hogs have a very sensitive disc like snout which helps them find food through smell and touch. 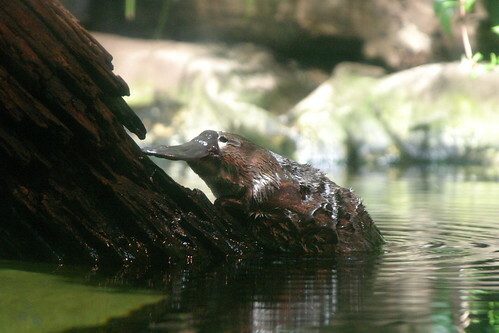 They also use their snout to help dig up their food. The Tawny Frogmouth doesn't do a lot of hunting. They sit in silence and wait for food to come to them and pounce. Pangolins have long sticky tongues. Their tongues attaches to their bodies all the way back in their pelvis, near their last pair of ribs. Fully extended it is longer than their head and body combined. Rhinos can move their ears independently of each other. 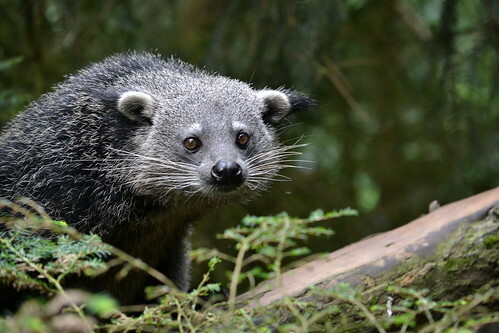 Binturongs have a scent gland under their tail. Their tails help them keep their balance as they walk among the branches, while at the same time marking territory. The scent the gland produces smells very much like buttered popcorn.